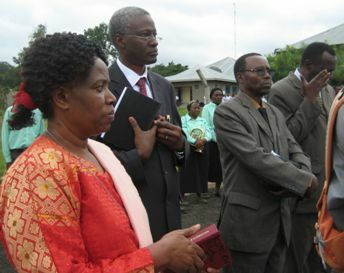 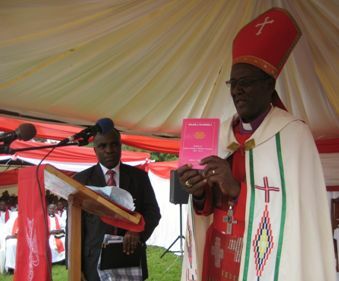 The Evangelical Lutheran Church in Tanzania (ELCT) launched its History Book entitled "Injili Kamili" (the 'Wholistic' Gospel) at a ceremony that took place at Usa River near Arusha on June 17 this year to kick off a one year celebration to mark her 50th anniversary. 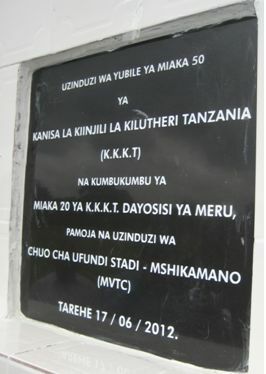 "Injili Kamili" meaning the 'Wholistic' Gospel. 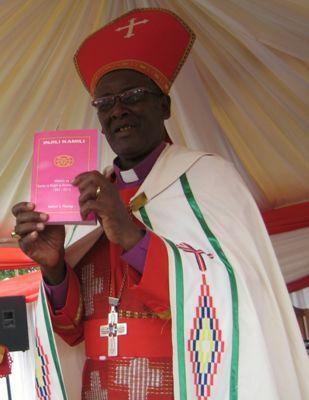 The ceremony that started with a procession and officiated by Bishop Paulo Akyoo of the ELCT Meru Diocese on behalf of Presiding Bishop, Dr. Alex Gehaz Malasusa, was held during a church service at Mshikamano Vocational Training College. 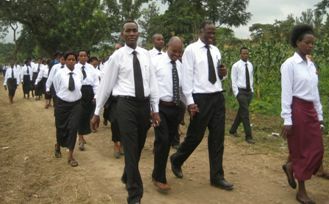 The celebration on June 17 had put four things together. 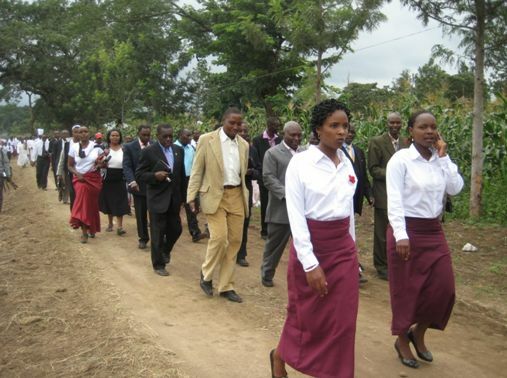 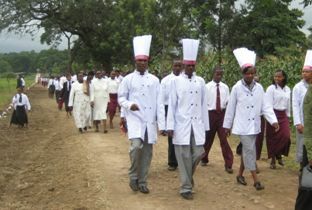 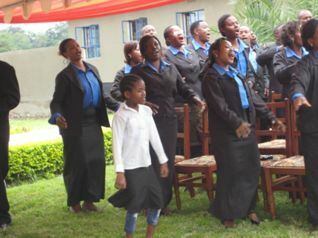 It marked the climax of 20 years of ELCT Meru Diocese; the kick off ELCT golden jubilee; the inauguration of Mshikamano Vocational Training College (MVTC) and to mark the 13th Graduation Ceremony of MVTC that opened its door to students on May 2, 1998. 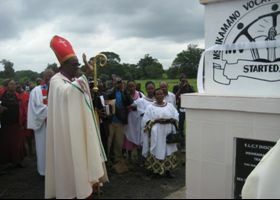 The unveiling of plaques and dedication of a pillar to commemorate the celebrations. 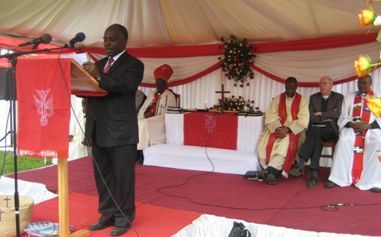 Mr. Brighton Killewa (above), the ELCT Secretary General read a special message from the ELCT Presiding Bishop Dr. Alex Gehaz Malasusa to mark the kick off that entailed the launching of the book, unveiling of a plaque and blessing a tower at Mshikamano Vocational Training Centre and planting of a tree at Tumaini University Makumira. 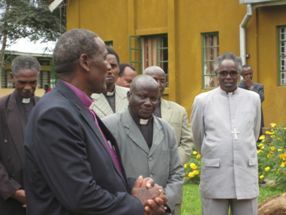 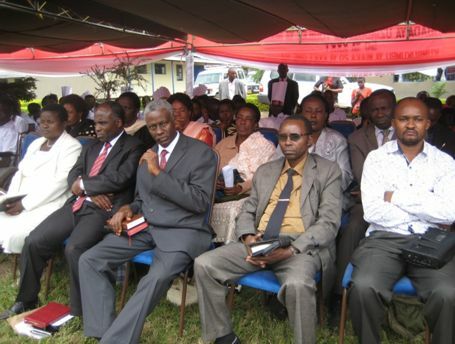 Bishop Zebedayo Daudi (extreme right) of ELCT Mbulu Diocese and the ELCT General Secretary Mr. Brighton Killewa graced the occasion as well as pastors and representatives of the ELCT Meru, Northern, North-Central Diocese, officials from ELCT Head office, Professor Ismael Mbise (below) who represented the Vice Chancellor of Tumaini University Makumira. 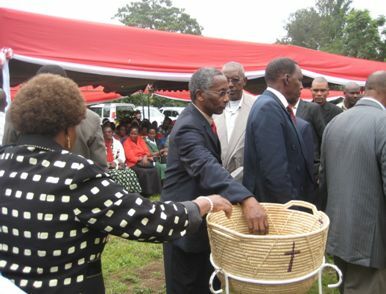 He was presented a copy of the book for the University Archive. 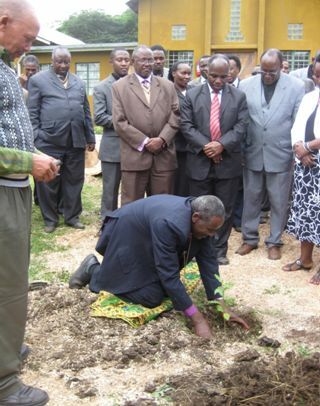 Bishop Akyoo dedicated a tree he planted to commemorate ELCT Golden Jubilee. 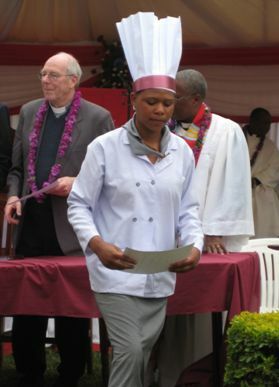 during the awarding of certificates to the graduates of Mshikamano VTC. 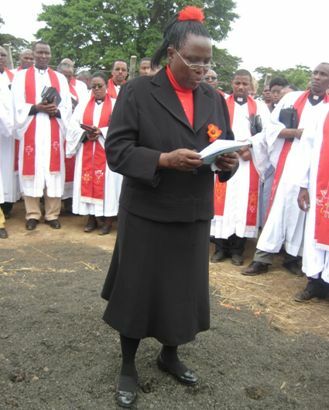 In her message the Principal of the Mshikamano, Mrs Ndefisio M. Pallangyo (above) thanked all those contributed towards the establishment of the training centre and especially partners in Germany who helped to raise more than sh. 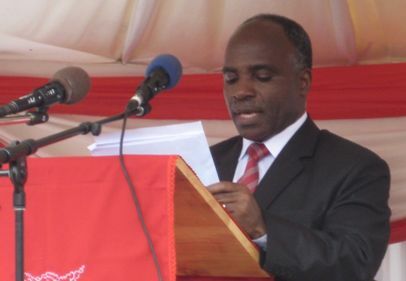 300 million out sh.423,418,328 spent on constructing classrooms, dormitories, a dining hall and fencing, among other buildings. 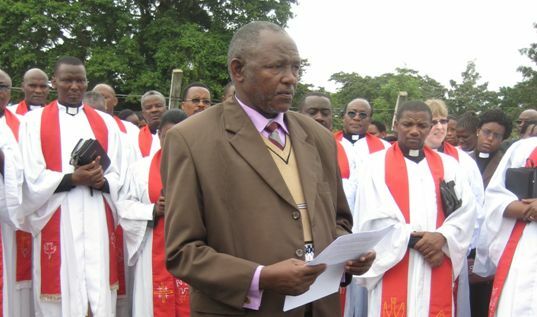 Mr. Loti Nnko (above), the General Secretary Meru Diocese said 20 years ago the diocese had 20,000 members and its 20th anniversary the membership has grown to 81,482 members. 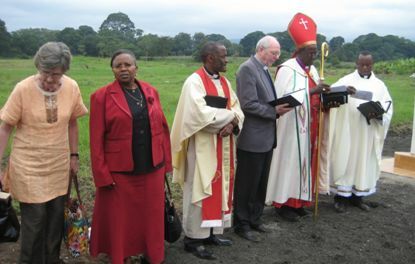 He pointed out that environment degradation was one of the challenges at large and the people living in Meru as well. 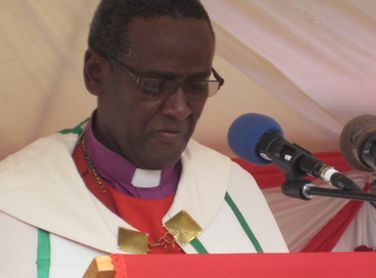 He said his diocese will work out ways to over come those and other challenges. 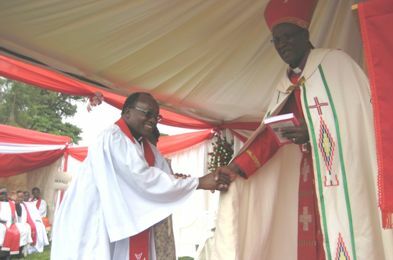 He said "the progress of the diocese depends on unity, 'mshikamano' meaning cooperation and good will in showing our respect to God and his creation". 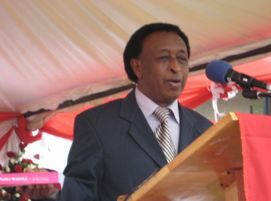 The ELCT Secretary General Mr. Brighton Killewa (above) explained that members of ELCT grew from 500,000 members 50 years ago to 5.8 million in 2011.He said the climax of the ELCT Golden jubilee will be held at Tumaini University Makumira 23 June 2013. 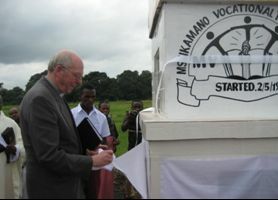 The message can be read in full at this link. 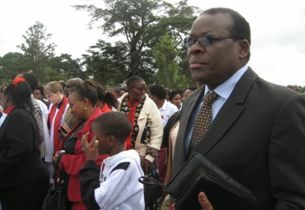 while the Secretary General Mr Killewa looks on. 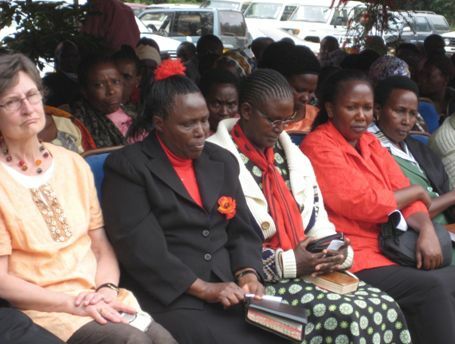 People from Meru and beyond attended the ceremony.